FORT WAYNE, Ind. -- The TinCaps are ready for their 10th year at Parkview Field to be the best yet. 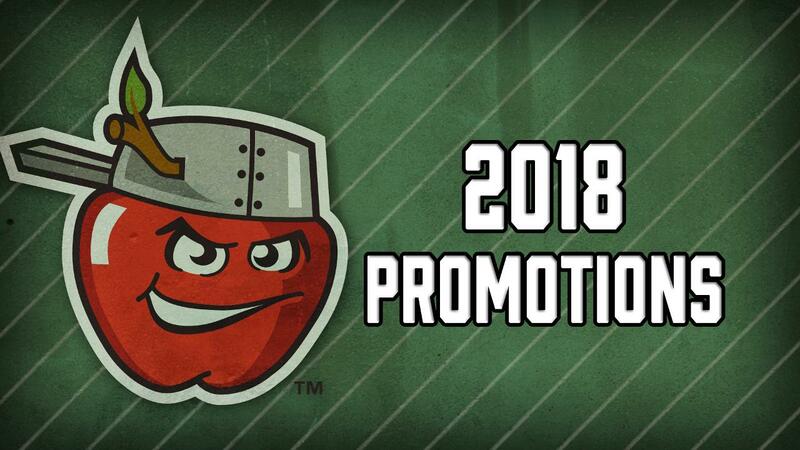 With Opening Day in Fort Wayne around the corner on Saturday, April 7, the team has revealed its promotional schedule for the upcoming season. Across 70 scheduled home games, the TinCaps will treat fans in Fort Wayne to a Minor League Baseball-leading 32 fireworks nights, plus 10 games with national acts. That's on top of the great family-friendly theme nights, deals, promotions, and more that fans have come to love from the team. This year's lineup includes a mix of returning fan favorites, such as Star Wars Night and Princess Night, with new attractions like Tyler's Amazing Balancing Act and contemporary violinist Daniel D.
Tickets to individual games will go on sale Wednesday, Feb. 21. Fans who buy their tickets at Parkview Field that morning between 8-10 a.m. will be treated to a free breakfast in the ballpark's Suite Level. Season tickets and tickets for group outings are already on sale. Fans can purchase tickets at TinCapsTickets.com, at the Parkview Field Ticket Office, and by calling 260-482-6400. In 2017, the TinCaps had 22 games sell out as the club set a franchise record for attendance, drawing a total of 419,128 fans. (Fort Wayne's attendance ranked 22nd among Minor League Baseball's 160 teams-second highest in Single-A, and also higher than 29 of 30 in Double-A and 11 of 30 in Triple-A.) Parkview Field has been distinguished as the No. 1 Minor League Baseball Ballpark Experience by Stadium Journey four years in a row. Coming off a Midwest League Championship Eastern Division championship in 2017, the TinCaps are expected to once again have one of the most prospect-loaded teams in the Minors in 2018. The San Diego Padres (Fort Wayne's parent club) have what experts consider one of the three best farm systems in baseball, if not the best. Left-handed starting pitcher MacKenzie Gore , who was the No. 3 overall pick in last year's MLB Draft, is projected to be among the Padres' prospects coming through Parkview Field this year. The TinCaps are scheduled to begin their season on the road against the Lake County Captains (Cleveland Indians) on Thursday, April 5. Fort Wayne's first home game of the year at Parkview Field, which opened in 2009, is set for Saturday, April 7 (6:05 p.m.) against Lake County. A fireworks show will follow the game.